Looking for a Tasty Decaf Coffee? With the holidays coming fast I’m starting to think about all the people we will be having over. There are going to be many dinners, events and gatherings at our home. And with that many people, it means my coffee maker is going to be working over time. I personally won’t drink caffeine after dinner because it can keep me up. I need all the sleep I can get. So when my daughter goes to bed for the night, the dishes are done and I can finally get into bed I do not want to be kept awake because I’m on a caffeine high. But with all the sugary after dinner sweets, I would like to enjoy a cup of coffee. That’s where a cup of Brooklyn Bean Roastery’s Breakfast Blend Decaf comes in. I’m not used to enjoying a cup of coffee in the evening so I was fairly excited to try out the Decaf Breakfast Blend. First off, it smells delicious! Brooklyn Bean Roastery will indulge your senses with the aroma when brewing the Decaf Breakfast Blend. This evening, I enjoyed a cup of decaf after dinner. It’s been a cold, dreary day and I wanted something hot to help warm me up. Now, I have Brooklyn Bean Roastery’s Breakfast Blend Decaf I can enjoy this without having to worry about being kept up from a caffeine rush. Can I tell the difference? I couldn’t. I thought it tasted like a light roast coffee and once I added my chocolate flavored creamer it tasted like a delicious chocolatey treat! I would not be able to enjoy this in the evening with a caffeinated coffee. 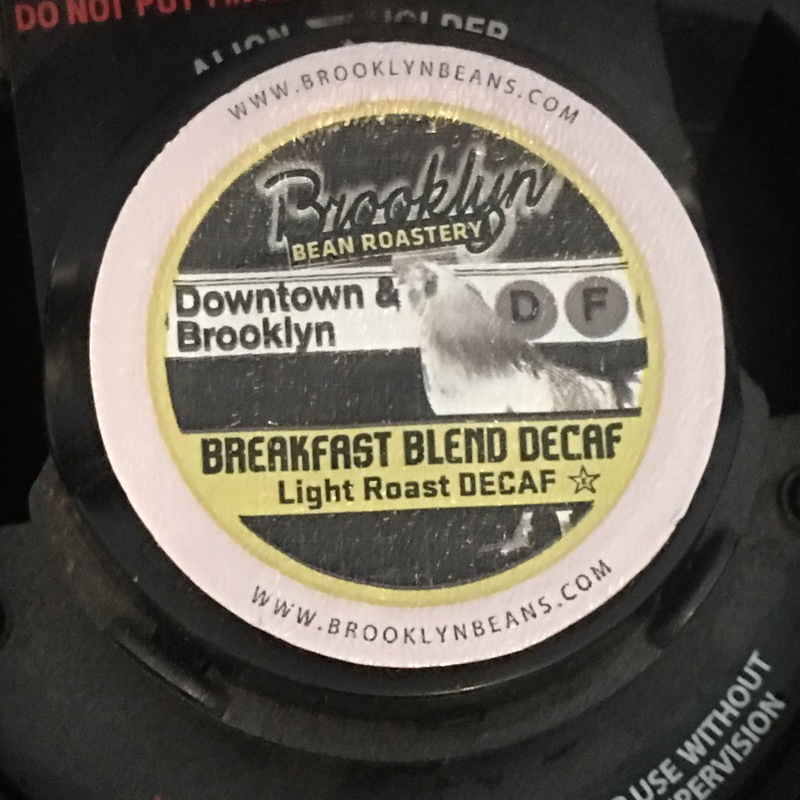 If you are looking for an aromatic, delicious decaf coffee give Brooklyn Bean Roastery Breakfast Blend Decaf a try. I wish I could afford a keurq because I would have one , love the ease of using them and that coffee brand is really tasty! Keep an eye out for Black Friday deals. 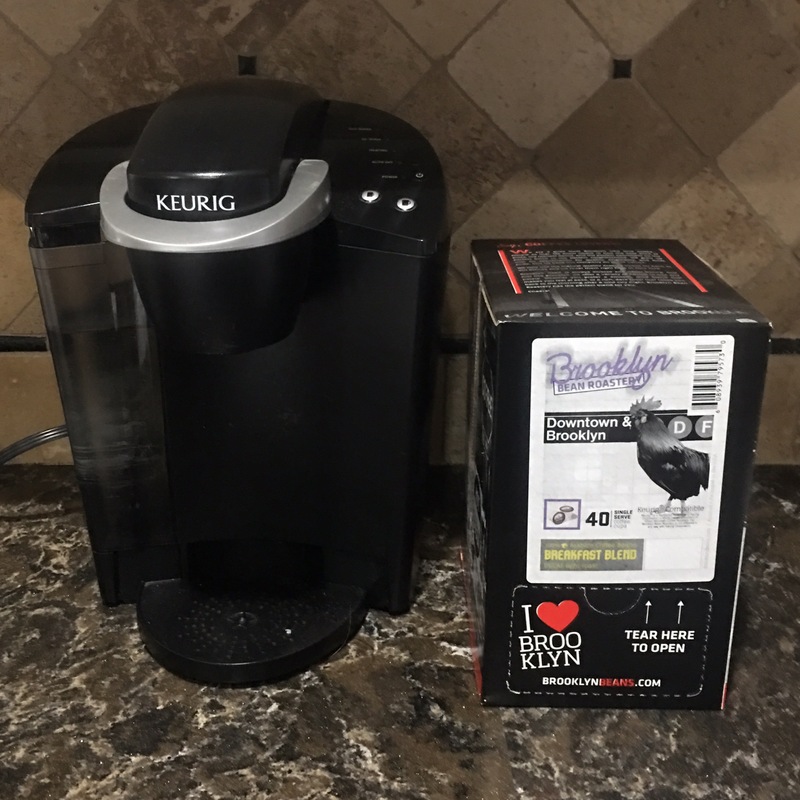 Sometimes Keurigs are marked down to around $60! And Kohls always has great deals. I bought mine with a 30% off discount code at Kohls.